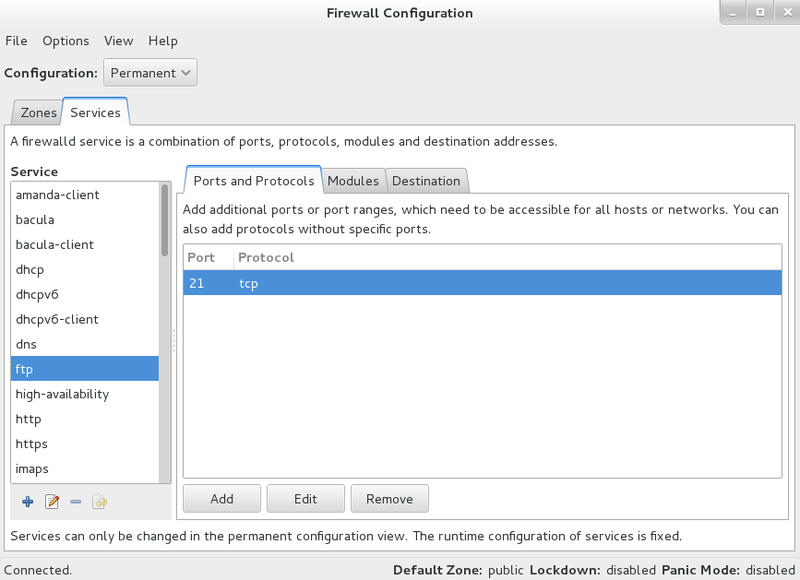 Firewalld provides a dynamically managed firewall with support for network/firewall zones to define the trust level of network connections or interfaces. It has support for IPv4, IPv6 firewall settings and for ethernet bridges and has a separation of runtime and permanent configuration options. It also supports an interface for services or applications to add firewall rules directly. Firewalld is well maintained, and it is already supported in some applications or libraries. Can handle IPv4, IPv6 and bridges "under one roof"
If you want to ship firewalld service files with your RPM package, you may want to consult the firewalld RPM packaging page. Please consult the README before running it for the first time. The script is maintained on GitHub so bugs and pull requests should be filed there. Find Firewalld Start and Enable the service. Find SuSEfirewall2, SuSEfirewall2_init and SuSEfirewall2_setup, Stop and Disable the services, select OK to finish. Now the Firewalld module should operate normally. This page was last modified on 12 April 2019, at 13:18. This page has been accessed 24,245 times.